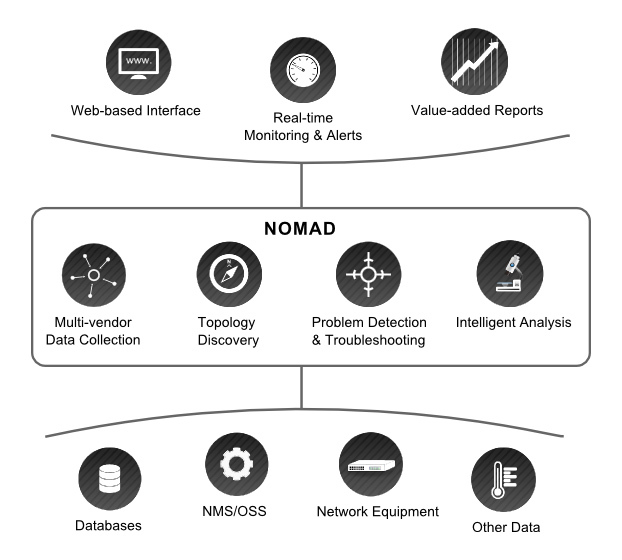 nomad is a transport network OSS augmented by network intelligence functionality. It is used as network management and optimization software by leading operators to maximize transport network resource utilization, achieving cost and time savings throughout the network life-cycle. Layers of complex coding and algorithms collect and analyze network data from multiple technologies and equipment in real-time. 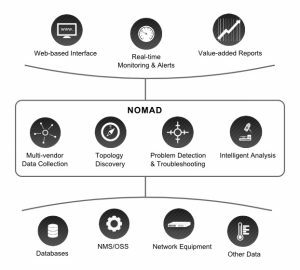 nomad uses this data to ­generate easily digestible, measurable and actionable information, revealing KPIs, network inefficiencies and allowing for troubleshooting. Its architecture makes nomad cost-effective, easy to deploy and scalable. Topology Discovery, Link Correlation, G.826 History, RSL/TSL – Live & Historical, Adaptive Modulation, Ethernet Transmit, Throughput and Discarded Ration, Link Capacity, TDM Capacity, Frequency Band and Tx/Rx, Modulation, Link Protection Scheme, Equipment License, Release, ODU/Board/Plugin, E1 Port and more. 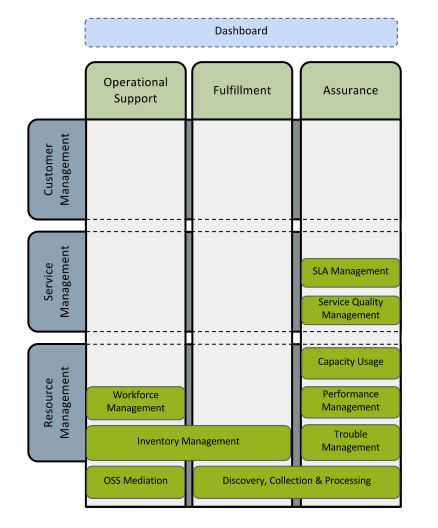 nomad has been developed according to eTOM, a business process framework created by TM Forum. eTOM is a critical component of Frameworx, a “comprehensive, industry-agreed, multi-layer view of the key business processes required to run an efficient, effective and agile enterprise” How it fits is represented in this diagram. TM Forum is a global, non-profit industry association focused on simplifying the complexity of running a service provider’s business via knowledge & standards. More information about Frameworx can be found at the TM Forum website.